The recent Court of Appeal decision in Hii Chii Kok v Ooi Peng Jin London Lucien (“Hii Chii Kok”) has been a long time coming. Affirming the demise of the antiquated Bolam-Bolitho test in relation to pre-treatment advice, this decision also adds Singapore to a growing list of countries which have embraced the concept of patient autonomy. This paper will briefly describe the court decisions, before proceeding to an analysis of both the Bolam-Bolitho test, and the new legal test propounded by the Court of Appeal. It is apposite at this juncture to elaborate on the Bolam-Bolitho For decades, courts have relied on this test to determine whether a doctor has fallen below the standard of care in the management of his or her patients. This has been used for all three aspects of patient management – the pre-treatment advice stage, medical diagnosis stage and treatment stage. According to this test, “[a doctor] is not guilty of negligence if he has acted in accordance with a practice accepted as proper by a responsible body of medical men skilled in that particular art”, where a threshold test of logic is incorporated to determine whether an expert’s view is representative of a “responsible” body of medical opinion. Thus, a doctor may not have to be the best doctor in order to be absolved of liability. To fulfil the requisite standard of care, he would only be required to call in expert evidence to show that his actions would have been acceptable in that situation by other doctors of similar standing. Essentially, the Bolam-Bolitho test laid down a physician-centric approach, where emphasis is placed on peer review to determine whether a doctor’s conduct had fallen short of such standard. This has thus far attracted criticism as to the deference such a test pays to medical practitioners. The central issue in this decision concerned the patient Appellant’s allegation that he had undergone unnecessary “aggressive treatment” on the ill advice of the Respondents, Dr Ooi Peng Jin London Lucien and Singapore General Hospital. In 2010, the Appellant was found to have pancreatic lesions. Upon further diagnosis, the Respondents advised the Appellant to opt for a Whipple Surgery to remove these lesions. (It was also noted that an alternative option for the Appellant to wait and reassess the condition again in six months was tabled). Complications were not observed immediately after the surgery. However, the Appellant vomited blood a month after and continued to suffer from side effects. This subsequently led to the discovery of life-threatening complications, requiring the Appellant to undergo further remedial surgical procedures. The Court of Appeal dismissed the claim based on a new test in relation to pre-treatment advice. Inspired by the rule in Montgomery, the new test entails three general stages. In contrast with the latter two stages of medical diagnosis and treatment (which will be discussed below), the first stage allows the patient to have a larger say in his medical treatment. This new test seeks to recognise the active role that a patient plays in the first stage of the physician-patient relationship, where pre-treatment advice is sought. In comparison to the Bolam-Bolitho standard, the test leaves little room for deference to the physician. The first stage of the test requires the patient to identify the exact nature of the information allegedly not provided to him and establish why it would be regarded as relevant and material. The first stage is undertaken from the patient’s perspective. This requires having regard to: (a) information that would be relevant and material to a reasonable patient situated in the particular patient’s position; or (b) information that a doctor knows is important to the particular patient in question. the alternatives to the proposed medical treatment, and the advantages and risks of those alternatives. Highlighting the importance of the patient-centric approach, the court emphasised that such material and relevant information will also necessarily encompass information that may seem minor to most persons when assessed by its impact, but may well be important for particular individuals. Under the second stage, the inquiry is centred on whether the doctor was aware of the information in the first place. However, even if a doctor is unaware of such information, he may still be found liable for negligence if his lack of awareness was due to his ignorance or carelessness to obtain this information. Nevertheless, such cases will be dealt with under the heads of negligent medical diagnosis or negligent treatment, and not negligent pre-treatment advice. The final stage of the inquiry considers whether there is a reasonable nexus to the withheld information. The doctor is required to fully justify the reasons for non-disclosure. It will then be for the court to consider whether, in the circumstances, the doctor’s conduct breaches the requisite standard of care. Some situations which do not warrant a breach include circumstances where there had been a patient waiver, emergency treatment, or therapeutic privilege. Although the burden is on the doctor to justify his non-disclosure, the court notes that a physician-centric approach should be adopted here. Hence, a doctor’s justification on the basis of medical practice and judgment may have some significance. First, a key criticism of the Bolam-Bolitho standard is the decaying notion of medical paternalism it seeks to perpetuate. Indeed, half a century has passed since the Bolam test was formulated (the Bolitho addendum was introduced later on in 1996). Today, the physician-patient landscape has changed immensely. The man on the street is becoming increasingly educated and more aware of the rights he holds. Instead of being mere passive recipients of medical care, patients can now be considered as fellow partners of physicians, where they participate meaningfully in decisions affecting the medical treatment they will receive. In light of these modern sentiments and attitudes towards the practice of medicine, the concept of patient autonomy trumps Bolam-Bolitho’s medical paternalism. Second, despite the Bolitho addendum attempting to raise the threshold, the test is still largely easy to satisfy. To reiterate the test, as long as a responsible body of medical men skilled in that particular art accept the physician’s practice as proper, the physician will not be guilty of negligence. Such a scenario is particularly less than ideal when applied to the physician’s duty to inform. With the Bolam-Bolitho standard, the notion that the doctor knows best is entrenched, and this does not sufficiently take into account a patient’s right to have a say in his treatment. Thus, where the physician fails to disclose information that may be critical to a patient’s acceptance of a particular treatment, no claim of negligence can be filed against him. Third, while Montgomery represents the UK’s transition away from the Bolam-Bolitho test as regards the dispensing of medical advice, it is noted that other countries such as Australia and Canada have long departed from this standard. Similarly, in the last decade, Malaysia had also recognised that the Bolam-Bolitho test should not be followed on grounds that it is “over protective and deferential”. Although Singapore remained loyal to the Bolam-Bolitho standard pronounced in Khoo James v Gunapathy d/o Muniandy, there were signs that changes were imminent, through the amendments to the Singapore Medical Council (SMC) Ethical Code and Ethical Guidelines (“ECEG”) in 2016. In contrast with the previous edition of the ECEG, which was last updated in 2002 –the section on Informed Consent was given significantly greater emphasis in ECEG 2016. The decision in Hii Chii Kok therefore should not come as a surprise to many. However, although many jurisdictions have already evinced a marked shift towards recognising patient autonomy, such a shift is not without criticism. Under the Montgomery test, a test of “materiality” is used to identify the risks and alternatives that a doctor should take reasonable care to ensure that the patient is made aware of. This involves questioning whether a reasonable person in the patient’s position would be likely to attach significance to the risk, or the doctor is or should reasonably be aware that the particular patient would be likely to attach significance to it. Such a test has been criticised for contributing to defensive medicine and the accompanying rise in healthcare costs. The CA addressed these concerns in Hii Chii Kok. First, as the court observed, concerns relating to defensive medicine and costs are more relevant to the other stages of medical treatment – diagnosis and treatment – instead of the initial stage of dispensing medical advice. Indeed, as medical treatment advances down the later stages, the patient’s involvement would markedly decrease. As such, the Bolam-Bolitho test would still govern the standard of care with regard to these latter stages, for the practice of medicine is “as much as art as a science”. This is in contrast with the stage of pre-treatment advice, where patients can still retain control of their treatment. Second, the three-stage inquiry seeks to balance the interests of both patient and physician. As observed, both patient and physician-centric approaches are adopted in this “carefully calibrated shift in the standard of care”, based on the overarching standard according to what an ordinary and reasonable doctor would have done in the circumstances. This is in contrast to the previous standard’s overly deferential attitude towards physicians. At the same time, it does not excessively tilt the balance over to the patients. Thus, in propounding the new test, Hii Chii Kok has given greater clarity into when and how a physician would be liable for negligence with regard to pre-treatment advice. To conclude, given the growing disenchantment with the test in Bolam-Bolitho, the recent amendments to the law on medical negligence brought about by Hii Chii Kok cannot be said to be a surprise. In the matured and educated society we live in today, such a change to give greater emphasis to a patient’s rights is all the more relevant. Moving forward, the author is hopeful that the new requirements propounded under the new test will lead to more meaningful exchanges between doctors and their patients, while at the same time, reversing the rising trend of medical litigation. Hii Chii Kok v Ooi Peng Jin London Lucien  SGCA 38 (“Hii Chii Kok (CA)”). Bolam v Friern Hospital Management Committee  1 WLR 582 (“Bolam”); Bolitho v City & Hackney H.A. 3 WLR 1151 (“Bolitho”). Hii Chii Kok (CA), supra n 2, at . See also Khoo James and anor v Gunapathy d/o Muniandy and anor appeal  1 SLR(R) 1024 (“Gunapathy”), at –, which sets out Singapore’s previous position on the law on medical negligence. Bolam, supra n 3, at 587. Bolitho, supra n 3, at 242. Hii Chii Kok (CA), supra n 2, at . Hii Chii Kok v Ooi Peng Jin London Lucien and another  SGHC 21 (“Hii Chii Kok (HC)”), at . Hii Chii Kok (HC), id, at –. Montgomery v Lanarksire Health Board  UKSC 11 (“Montgomery”). Hii Chii Kok (HC), supra n 16, at –. Hii Chii Kok (CA), supra n 2, at –. K Shanmugam, Testing the Bolam Test: Consequences of Recent Developments (2002) 43(1) Singapore Med J 7 at 7. Hii Chii Kok (CA), supra n 2, at . As stated in paras 1 and 7 above, the new test is only in relation to pre-treatment advice. Wrong advice will not fall in this category as the doctor will be found liable for his diagnosis. Hii Chii Kok (CA), supra n 2, at . See also Dickson v Pinder  ABQB 269 at . Montgomery, supra n 17, at . See the Australian case of Rogers v Whitaker (1992) HCA 58, and the Canadian case of Reibl v Hughes  2 SCR 880, where both adopt a so-called “standard of care” test. Foo Fio Na v Dr Soo Fook Mun  1 MLJ 593 at . Singapore Medical Council Ethical Code and Ethical Guidelines, 2016 edition (“ECEG 2016”). Singapore Medical Council Ethical Code and Ethical Guidelines, 2002 edition (“ECEG 2012”). Contrast ECEG 2016 at pp 37–39 with Guideline 4.2.2 of ECEG 2002. K Shanmugam, supra n 22, at 10. Kumaralingam Amirthalingam, Medical Negligence and Patient Autonomy (2015) 27 SAcLJ 666 at . Terrance Goh, then-student at Singapore Management University School of Law (graduated 2018). This article was originally published on 4 September 2017 at SMU Lexicon. 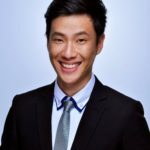 Terrance graduated from Singapore Management University School of Law in 2018. His areas of interest include cross-border transactions, M&A, and investment and trade law. At SMU, Terrance was a regular participant in various writing competitions. His work on exploring how taxation principles should evolve in a digital economy was selected to be the winning entry in the inaugural Mazars Tax Essay Challenge, while his submission to the Competition and Consumer Commission of Singapore examining the extent to which both competition and consumer protection policies can harmonise to ensure effective markets had earned him the merit award. Do you know what is a Writ of Summons?